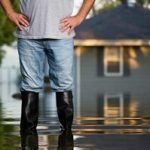 Whenever a disaster strikes, you need to keep your presence of mind and take efficient steps to limit the spread of the damage and salvage as much of your property as possible. Your best course of action is to call for professional help as early as possible, as the sooner the experts get down to work, the higher the chance of preventing further troubles and restoring your property in a quick and effective manner. RestorationMaster has been providing timely and valuable assistance in time of need to homeowners and business owners in Nevada and California for over 20 years. Our high quality services and commitment to customer service have yielded excellent results. Our professionals are IICRC trained and certified to handle any disaster restoration or cleaning job in commercial and residential settings alike. We have the most advanced equipment available in the industry and use innovative restoration and cleaning techniques along with the proven traditional methods to guarantee a successful outcome of each specific emergency situation. RestorationMaster of South Lake Tahoe, CA specializes in providing fire damage restoration, water damage restoration, and mold removal services, and we also offer content cleaning and restoration, post construction cleanup, hoarding cleaning and biohazard cleaning. What’s more, we work with local insurance companies to ensure a smooth and favorable claims process. We guarantee a quick and adequate response to all kinds of emergencies in South Lake Tahoe, CA, and the surrounding area. You can call us at 888-915-8868, any time of the day, for immediate assistance, additional information about our services, or a free estimate for your restoration project. 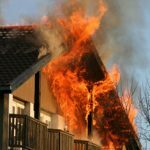 Experiencing a fire in your property is quite a stressful experience as the quick-spreading flames and suffocating smoke pose a great threat to the health and safety of everyone in the building, not to mention the enormous material damage. To make matters worse, the byproducts of the fire (smoke, soot, excessive water from the firefighting efforts) continue their devastating effect long after the flames have been put out and the immediate danger has passed. 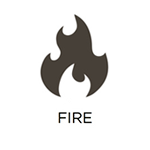 To prevent further damage and salvage the household items and personal possessions that survived the fire, you need immediate professional assistance. The experts have the proficient skills, state-of-the-art equipment, and effective cleaning products required to restore fire wrecked structural components and content before the damage has become permanent. RestorationMaster provides fire and smoke damage restoration services in South Lake Tahoe, CA to help you get rid of the smoke and remove the soot from your home or commercial building as soon as possible. Then, we begin efficient repair and renovation works to restore the excellent condition of your property and your possessions. Call us at888-915-8868 immediately after a fire in the South Lake Tahoe, CA area to have your property efficiently restored and get your life back on track. Unlike fire, excessive moisture in your home or commercial building poses no immediate danger to your safety or to your possessions. However, unless properly taken care of, it may result in extensive structural damage, mold growth, and even health issues. Therefore, the sooner you fix the problem, the less time and money you will have to spend on the restoration process and the healthier your living environment will be. You are advised to take adequate measures and seek professional assistance at the very first signs of water damage in your property. If you have to deal with flooding or notice a leaking fixture, a plumbing problem, or any other cause of excessive moisture in your home or office in South Lake Tahoe, CA, call RestorationMaster without delay. 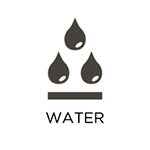 Our technicians will not only remove the water and dehumidify the premises to prevent greater material losses, mold development, and health problems, but will also effectively restore household contents affected by the water. You can reach us at 888-915-8868, 24 hours a day, for quick and efficient assistance in the event of water damage in South Lake Tahoe, CA, and the surrounding areas. 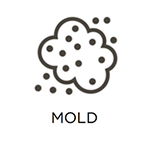 More often than not, mold appears as a result of water damage and/or poor ventilation of the premises. It spreads quickly to affect large areas of your property and not only damages structural materials and personal items, but can also trigger allergic reactions and infections. You need to remove the mold spores from all the surfaces and elements in your home or office as soon as you notice them in order to prevent severe structural damage and health problems. 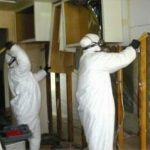 Hiring professional mold remediation services is your best bet if you want to get rid of mold for good and to have your property restored to its excellent condition as quickly and efficiently as possible. RestorationMaster provides first-class mold removal services for homes and businesses in South Lake Tahoe, CA. We have the proper training and equipment to contain mold to the affected areas and to completely remove it in a quick and safe manner. What’s more, we will repair any sustained damage and will restore the charming and healthy environment of your home or office, also providing you with practical advice on how to prevent mold growth in the future. 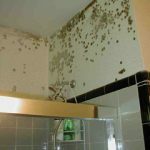 Call us anytime at 888-915-8868, for efficient mold remediation services in South Lake Tahoe, CA, and the nearby areas. As if the sustained structural damage was not enough, natural disasters often cause significant damage to your personal items as well. So, besides all the financial troubles and the hassle and inconveniences associated with the ongoing repair works, you also need to handle the loss of valuable possessions and cherished keepsakes. You can avoid this extra stress and have many of your prized belongings salvaged if you contact experienced content cleaning and restoration professionals before the damage has become irrevocable. Thorough cleaning, drying, and deodorization will go a long way in restoring the good condition of your treasured possessions that have not been completely destroyed during the disaster. RestorationMaster provides quality content cleaning and pack-out services in South Lake Tahoe, CA, and the adjacent areas. Our effective cleaning products and innovative restoration methods allow us to successfully restore all kinds of personal possessions, including sensitive electronics, fine art, or important documents that have been damaged by fire, smoke, water, or mold. We can clean and deodorize your content on-site if possible, or we can pack-out your belongings and bring them to our secured facility for more thorough cleaning and/or safe storage until your home or commercial building is restored and you can take them back. Contact RestorationMaster at 888-915-8868 immediately after a disaster in South Lake Tahoe, CA, to salvage your personal belongings and ensure your peace of mind. Residential or commercial construction works involve a lot of hassle, noise, and a great variety of building materials being transported to and off the construction site. Even when the job is completed, many of these potentially dangerous materials, as well as all kinds of debris are left behind and make the area quite risky. Brick pieces, nails, screws, ceiling parts, plumbing parts, and various other hard, sharp, or slippery items that present a great tripping and falling hazard may result in serious accidents and injuries when you enter the site. The leftover dust can also pose health risks or even clog the ventilation system of a building. It is a good idea to use post construction cleaning services to render the area safe and neat before entering. 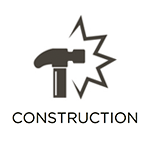 If you need your residential or commercial construction site in the area of South Lake Tahoe, CA, to be cleaned and restored to safety, contact RestorationMaster right away. Our staff is properly trained and equipped to safely remove leftover construction materials from the construction site and to clean any excess dust and debris in compliance with local codes and insurance requirements. Call us at 888-915-8868, 24 hours a day, for post construction cleaning services in South Lake Tahoe, CA and the neighboring communities. Hoarding behavior (characterized by excessive acquisition of worthless items and inability to throw anything away) typically results in poor sanitary conditions and restricted living space which causes a variety of problems – increased fire hazards, obstruction of emergency exits and passageways, prevention of everyday activities such as cooking and cleaning, pest infestations, easier spread of contagious diseases, etc. All these conditions are extremely dangerous for the hoarder and immediate measures need to be taken to help him/her resume a normal lifestyle. However, hoarding is severe a mental disorder, so the affected person usually doesn’t have the capacity to resolve the problem without help. 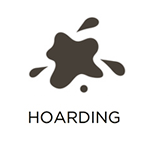 That’s why effective treatment and professional hoarding cleaning services are required to improve the living conditions in the hoarder’s home and ensure his/her safety and well-being. RestorationMaster provides hoarding cleaning services to help people with a hoarding problem in South Lake Tahoe, CA. We treat the affected individuals with compassion and respect, clean and organize their homes, and assist them in maintaining a neat and safe environment afterwards. Our technicians are trained to find an efficient solution even in the most extreme cases. Contact RestorationMaster at 888-915-8868, any time of the day, for reliable assistance and hoarding cleaning services in South Lake Tahoe, CA, and the adjacent areas. 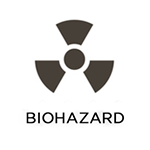 Different biohazard materials, such as toxic chemicals, blood, or other bodily fluids, are often present at crime and trauma scenes, hoarding cleanup sites, flooded areas, backed up sewers, mold-affected areas, etc. Such hazardous materials pose a great risk of infection and can spread dangerous diseases, so it is extremely important to avoid contact with them and to take adequate measures to restore the area to a safe condition as soon as possible. Your best course of action under such circumstances is to call certified professionals who can safely remove the biohazard materials and disinfect the area. RestorationMaster provides biohazard cleaning services in South Lake Tahoe, CA, to effectively clean up different kinds of biohazard materials and ensure the safety of the area. Our technicians are properly certified and equipped to handle the cleanup and disinfection of the scene. We work in compliance with local regulations and safety requirements and cooperate with law enforcement for crime scene investigations. What’s more, our experts always approach the scene with compassion and show respect for the privacy of the affected people. You can reach us at 888-915-8868, 24 hours a day, for emergency biohazard cleaning services in South Lake Tahoe, CA, and the nearby communities.